Host Bus Adapters aren’t the most glamorous pieces of equipment. While they might not be flashy, they are certainly a necessary part of day-to-day storage infrastructure. 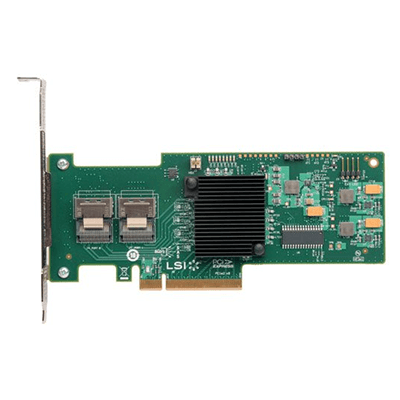 The Raid LSI SAS 9207-8i 8 Port Internal SAS SATA SSD 6Gbps PCI-E products are widely deployed in the storage world, and now the SAS2308-based 9207-8i is set to follow suit. 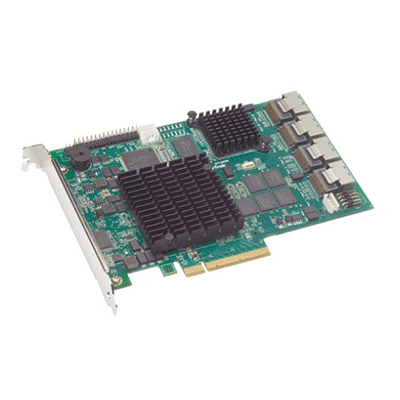 The SAS2308/Fusion-MPT 2.0 IO controller sports PCIe 3.0 burst transfer rates of 8GB/s on 8 lanes of connectivity. 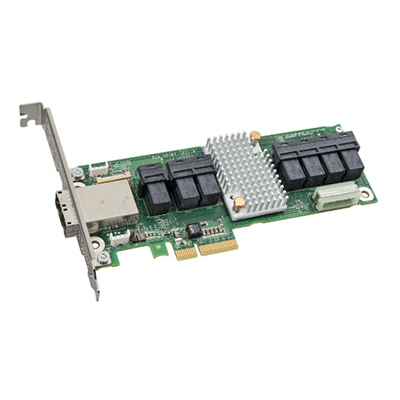 While the term Host Bus Adapter can refer to several things, we generally use it to denote a device which allows SAS and SATA connectivity. A HBA is similar to a RAID card in some respects, but HBAs allow a straight pass-through of the connected device to the host system. The onboard processor can do basic RAID calculations if needed, but most HBAs are used to pass groups of single devices to a host system. At that point, some users may create a software RAID with those drives, but the arrays do not avail themselves of the on-board processing. 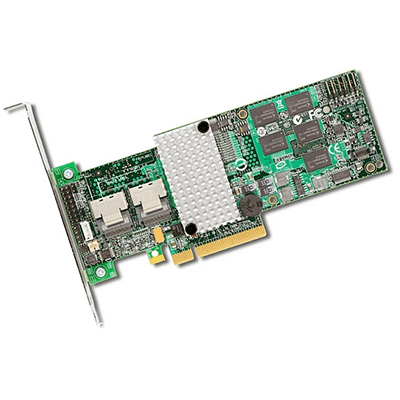 Real RAID cards have external RAM for caching and beefier logic to deal with calculation-intensive parity operations, and as a result, come with higher real RAID card pricing. The 9207-8i we’re looking at can be found for as little as $260 right now. With IR firmware, the LSISAS 2308 SAS Controller can handle RAID 0, 1, 10, and 10E, but most users will stick with IT (initiator target) firmware. Special versions of the 9207 HBA will be offered to big OEMs with IR firmware flashed from the factory. These products have a 1 instead of a 0 in the model number, meaning an OEM 9207-8i with IR firmware will be known as the 9217-8i. Otherwise, all Gen3 HBA products will ship with IT firmware. LSI intends to supplant current PCIe 2.0 6Gbps HBAs with Gen3 “successors”. rested in HBAs for our testing of enterprise SATA and SAS drives. 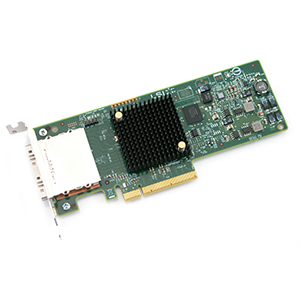 SAS uses a different connection and transmission method than standard SATA devices, and at the moment, no motherboards have SAS ports. This was something originally planned for Intel’s X79 chipset, but it never came to fruition. 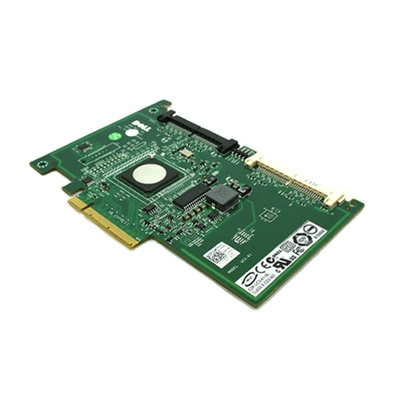 Regardless, we perform SATA drive enterprise testing on HBAs, just because few enterprise-class SATA drives will ever end up on a motherboard’s onboard SATA ports. Also, Intel and AMD’s SATA drivers tend to change quite a bit from revision to revision, making accurate testing with those drivers difficult. The 9207 8i has two internal SFF8087 mini-SAS ports, much like it’s 8i predecessors. The two ports allow for SATA or SAS drives to be connected via several cabling options. Up to 256 non-RAID devices can be chained to the 9207-8i, but over 1000 are supported by the SAS2308 processor. It’s unclear exactly how much bandwidth is on offer with the 9207, as overhead reduces the maximum theoretical amount. In the case of the Gen 2 9211-8i, it was right around 3GB/s. With similar overhead implications, it should be possible to reach well over 6GB/s. The SAS2308 controller, sans heatsink. The SAS2308 IBM PowerPC architecture runs at 800MHz. The HBA has a nominal power consumption of 9.8W.